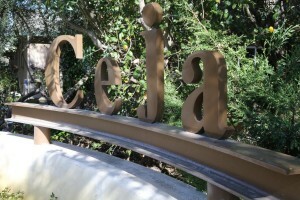 Ceja Vineyards is one of a number of Latino family-owned wineries in the Napa Valley. 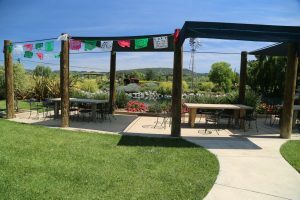 Ceja Vineyards was founded by 1st generation Mexican-American immigrants Pedro and Amelia Ceja and Pedro’s brother Armando and his wife Martha. 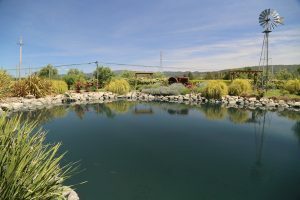 Armando is their primary winemaker. 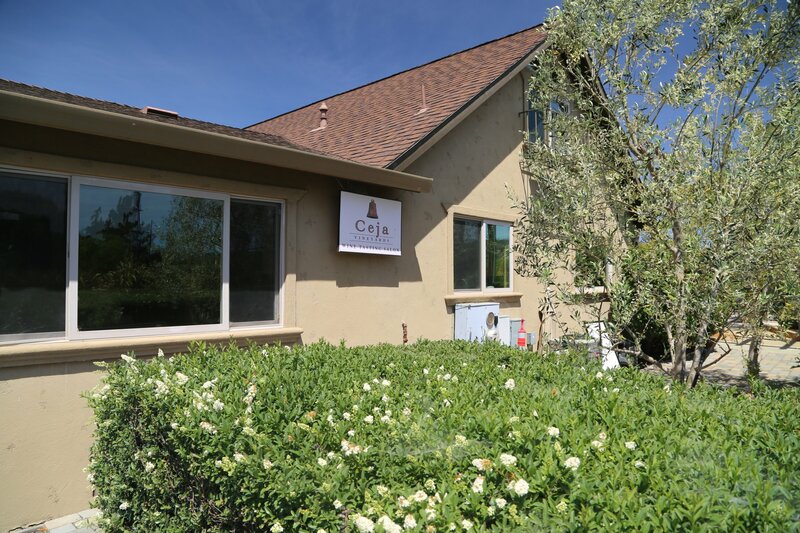 The Ceja’s originally lived in small villages in Mexico – Amelia came to the USA when she was 12 with her family who came to California to work the vineyards in the local wine country. She met her future husband Pedro in 1967 when both children were age 12 – helping their family’s harvest grapes in what is now arguably the Napa Valley’s most famous vineyard, To Kalon (the majority of which is owned by Robert Mondavi Winery/Constellation). 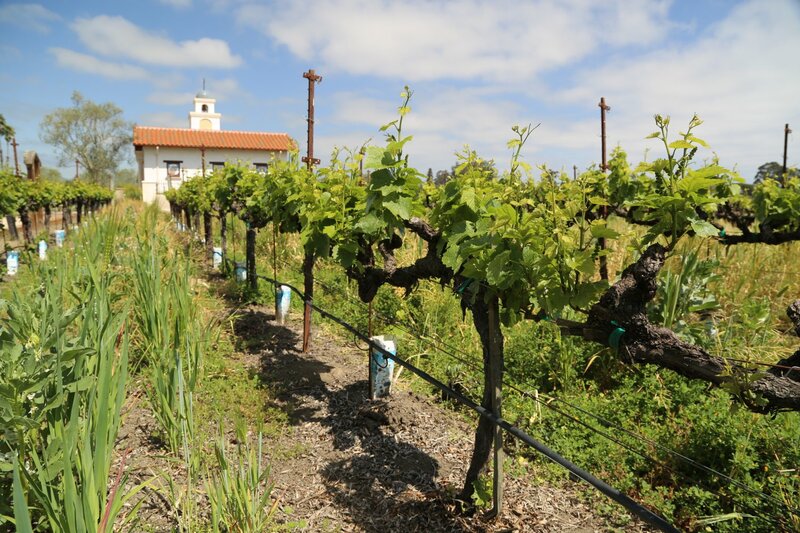 The family pooled resources to initially purchase 15 acres of land in the Carneros region; today they own over 110 acres of vineyards focusing their efforts on vineyards located both on the Napa and Sonoma sides of Carneros. 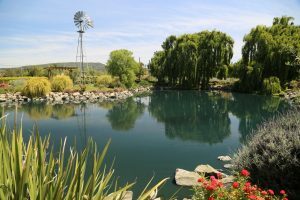 Originally they only sold fruit to other wineries but this changed in 2001 when they released their first commercial vintage. Today they still sell the majority of their grapes to other wineries and hold the remainder back to make their own wines. This winery is truly a family affair as they all work in some aspect in the winery with the 3rd generation involved. 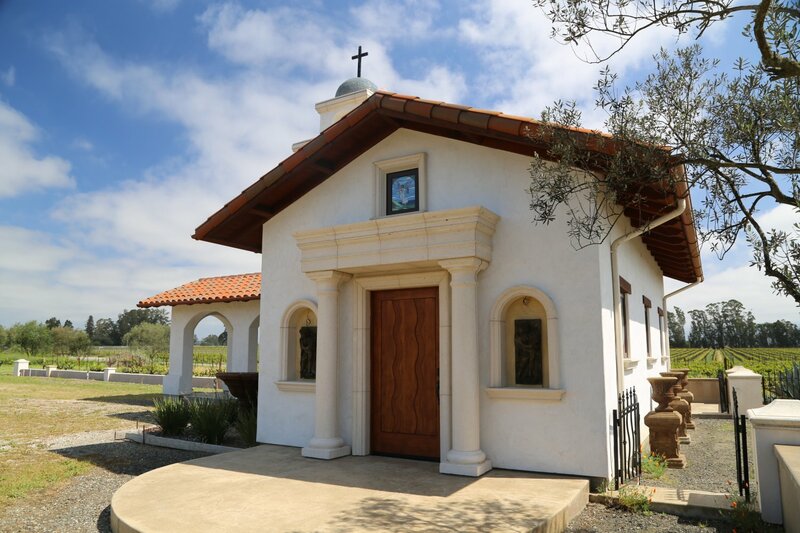 Currently, they make over 4,000 cases of wine which they custom crush at another winery. 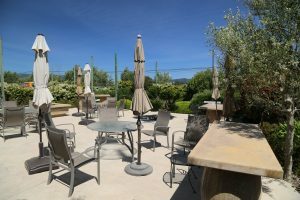 Their focus is on premium Carneros based wines specifically Chardonnay and Pinot Noir however they produce a number of different wines from various varietals (all 100% varietal other then the Vino de Casa, a very unique almost a 50% blend of both Pinot Noir and Syrah.). Amelia Ceja is the ‘face’ of the winery – diminutive in stature, her accomplishments are anything but small. She was recognized by the California legislature as “Woman of the Year” in 2005 and was the first Mexican-American woman to be president of a winery. 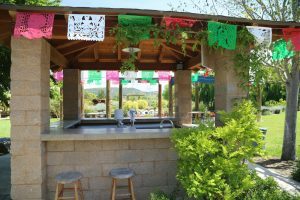 She also loves the culinary world and has contributed numerous online culinary related videos through the Ceja Vineyards Youtube channel. 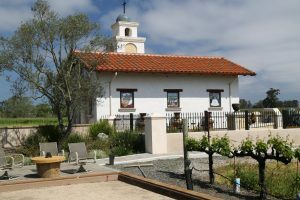 Plans have been in the works for many years to build and open their own winery. 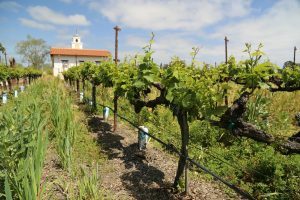 As of 2018 the winery is already designed and plans are underway to break ground in late 2018 – building a small winery and tasting room on their existing Napa Carneros estate. 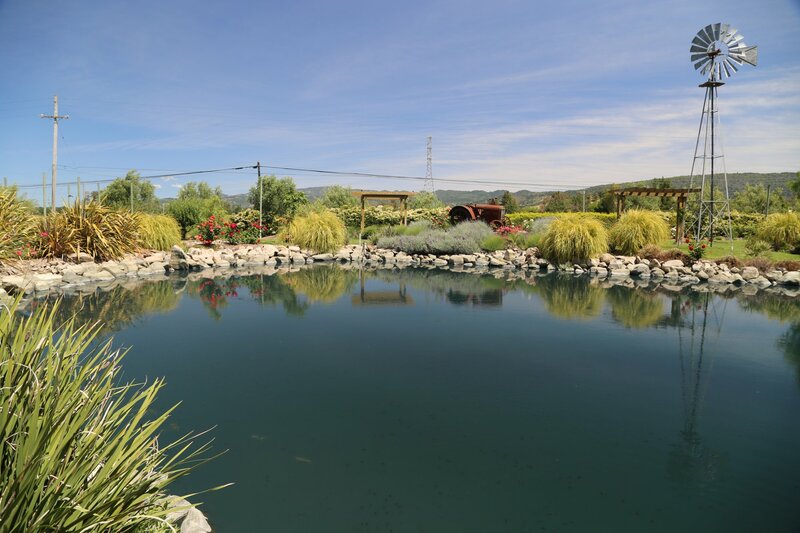 Once the winery is completed, visits will be exclusively by appointment. 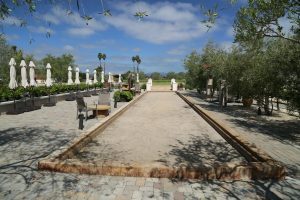 The Napa Carneros estate is surrounded by vineyards – a number of Chardonnay vines were removed to install bocce ball courts (two of them). The best way to play bocce at Ceja is with a glass of wine in one hand and a bocce ball in the other. 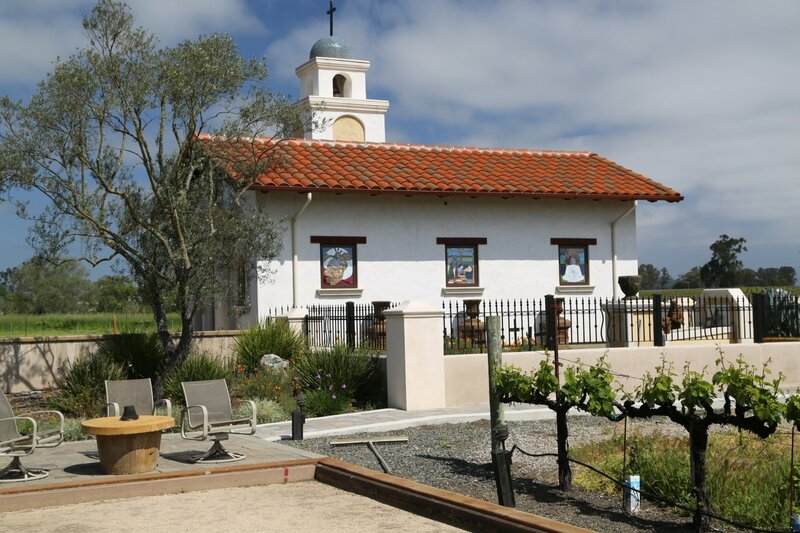 A bronze bell on site was going to be installed in Mission San Luis Obispo but ended up being given to Ceja. They installed this bell on a small Spanish style ‘chapel’ on site (complete with its own pet cemetery). Visitors to their Carneros estate often smell the inviting aromas of various culinary creations wafting through Casa Ceja as the family certainly loves to cook. Speaking of food, their wine pairs well with a variety of dishes, especially spicy cuisine such as Mexican and Thai. Words you may see on Ceja’s informational literature are “Vinum, cantus, amor – translation, Wine, Song and Love! You may also see their other motto, “Wine+Food+Family+Friends =Fiesta”! The Ceja’s will tell you that “wine is in our veins, not blood”! 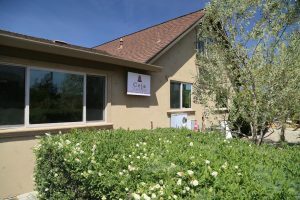 You can’t help but be caught up in the enthusiasm and passion that the Ceja family has for wine, vineyards, cooking, dancing, community involvment and an all around contagious enthusiasm for life. 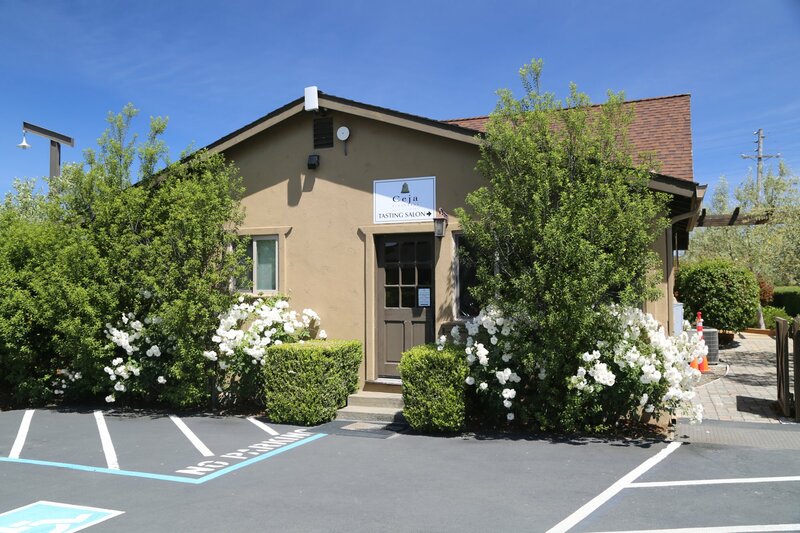 All their wines are very reasonably priced by Napa standards. 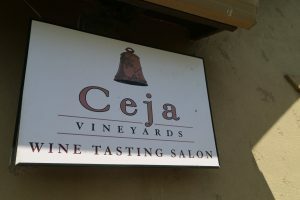 Additionally, Ceja keeps their wines lower in alcohol than many wineries; typically under 14% with many in the 13 percent range. 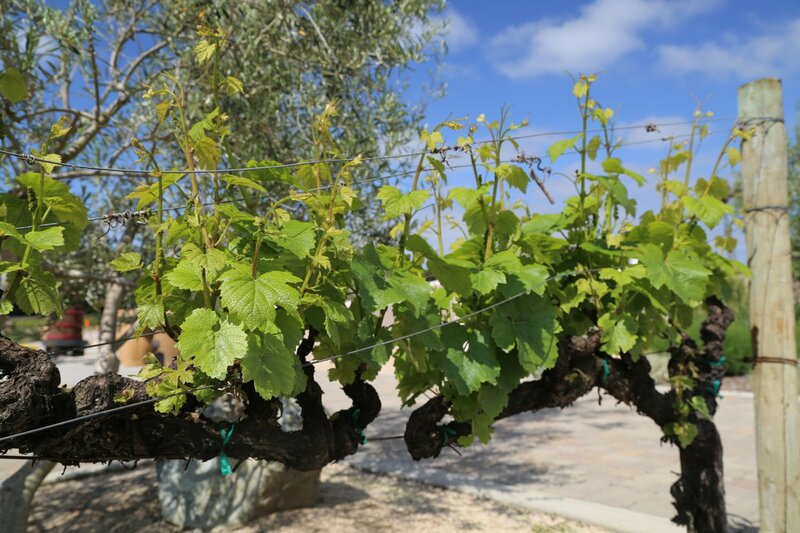 Also noteworthy, the current releases of their red wines tend to be 2 to 3 years behind the current releases of most area wineries spending additional time in bottle before being released. 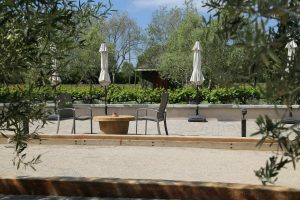 They make a wide variety of wines; usually four to five wines are poured at their tasting room. Unless otherwise noted, their wines are 100% varietal. The Sonoma Coast 2006 Sauvignon Blanc is a crisp wine with excellent tropical pineapple-guava aromas in the nose and similar flavors on the front palate – with a slight mineral touch on the finish. 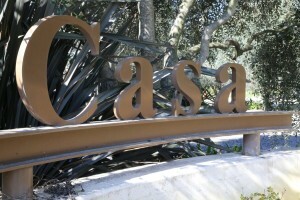 Their Vino de Casa is a real find. It is a an extremely unusual blend, dominated by Pinot Noir and Syrah with sometimes an addition of Merlot. 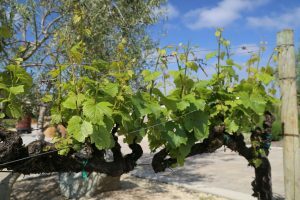 When winemaker Armando Ceja was in college one of his professors told him that it was impossible to blend these two varietals. Never say impossible. This wine is a testament that these two varietals can complement each other quite well. 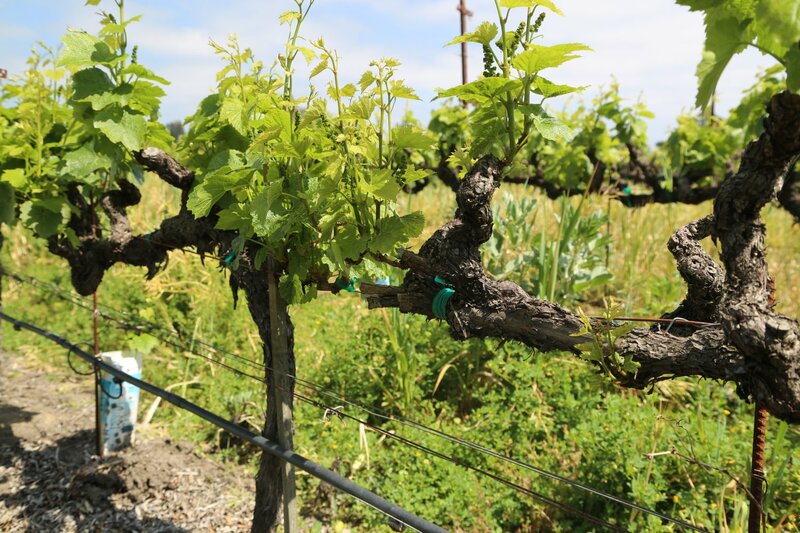 The softness of the Pinot Noir is felt on the front of the palate and the Syrah brings a slight pepper flavor to the mid palate and certainly rounds out a long finish. 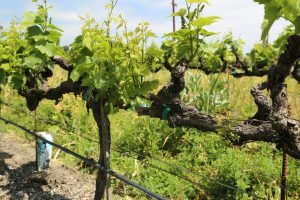 Out of 950+ Napa wineries and producers visited with to date, this is the only winery we know of blending these two varietals together. And it has become their most produced wine. Their 2004 Merlot is an interesting wine. Pleasing raspberry aromas show on the nose with a nice mix of both fruit, oak spice and integrated tannins. Their 2004 Cabernet Sauvignon is a juicy wine that will pair very favorably with a medium rare steak. Think Argentinean grown and prepared steak and you have a match. We also tried the 2004 Sonoma Coast Syrah (a cool weather grown Syrah) which exhibits aromas of white pepper aromas fruit and leather on the palate. With the winery having a relatively short history, they have already piled up the accolades including being voted “Best New Winery” by ninety of the world’s top wine writers, a front page mention on the New York Times, a spotlight on CNN and appearances on several food related TV Shows. 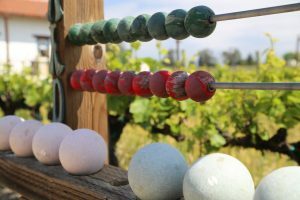 One of the perks of being a member in their wine club are invites to all their parties – which have a reputation locally as being extremely fun events. 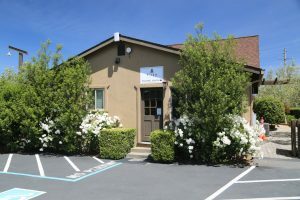 Their long time downtown Napa tasting room closed in late September 2014 – however they currently operate a tasting room in neighboring Sonoma County (not far from the ever popular Fremont Diner) alongside the heavily trafficked Highway 12.